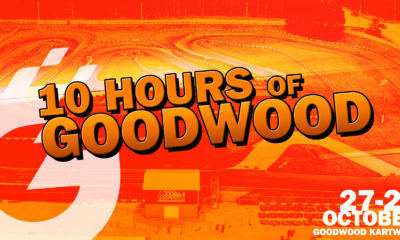 A Few Team Positions Left for ’10 Hours of Goodwood’ – CKN | CanadianKartingNews.com | Because Karting is a way of Life! 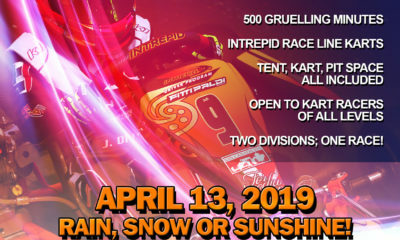 We’re just over a week away from the inaugural ’10 Hours of Goodwood’ endurance karting race at Goodwood Kartways in Stouffville, Ontario. Only a few spots remain on the grid for teams wanting to be a part of history and time is running out for those interested to register. The karts are being built, our team previews are being prepared and the excitement level is growing up every day. 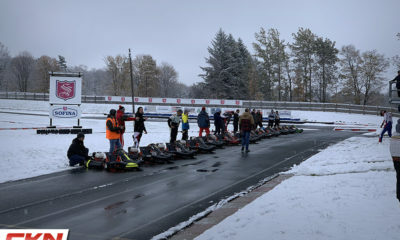 The current roster of drivers is impressive, with Pro and Semi-Pro teams looking to take home the glory of being the first winner of this superb event. 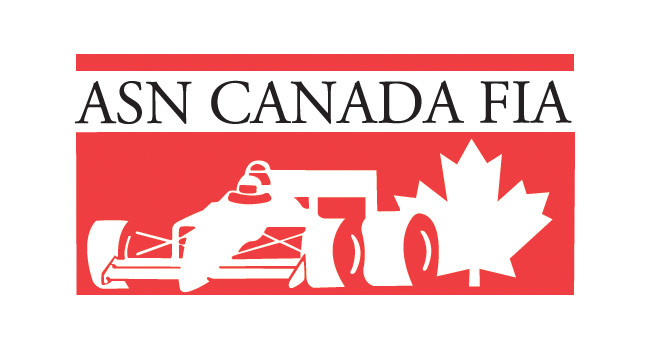 There are ASN Canadian Karting Champions registered. There are Arrive and Drive champions registered. There’s even a Porsche GT3 Canada driver registered. 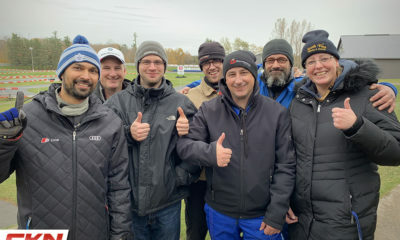 Our team-by-team previews will begin next Monday on CKN leading up to the race on October 27-28. 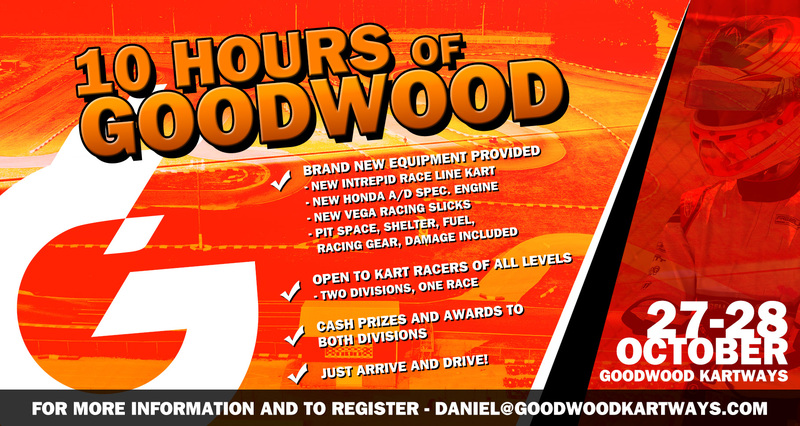 To register, contact Daniel@goodwoodkartways.com immediately. This race will sell out all 18 team spots.